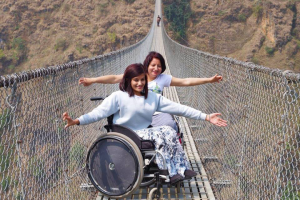 One of our wheelchair recipients, Amrita Gyawalli from Nepal, gave the following “Dream Speech” at kanthari, an international institute for social leadership in India. She also wrote a letter to us, which is included below the video of the Dream Speech. 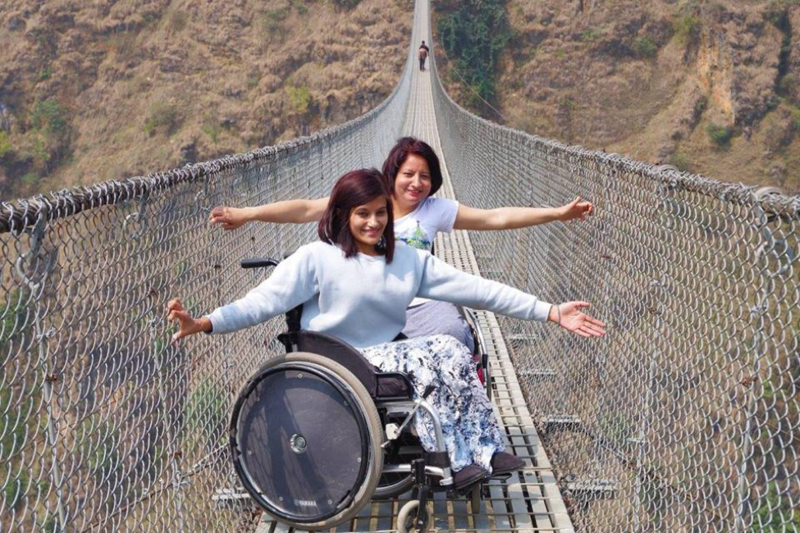 It’s very difficult to find a suitable wheelchair for us in Nepal. Most of the time, we have to depend on international donors or organizations to receive a wheelchair which are often not comfortable for our body but we don’t have any other options other than using it. I always wanted to use a wheelchair that would make me fashionable and build up my confidence. I still remember how I was struggling to go to the office with my damaged wheelchair on a daily basis which made me so tired and depressed. I wasn’t even able to go out many times. In June 2015, I decided to go to Pokhara for my vacation. I stayed with Sita KC and his husband Nozo Nishi who are like my close sister and brother in law. I shared my challenges how I was struggling to go out because of my wheelchair and how it had affected my daily livings. 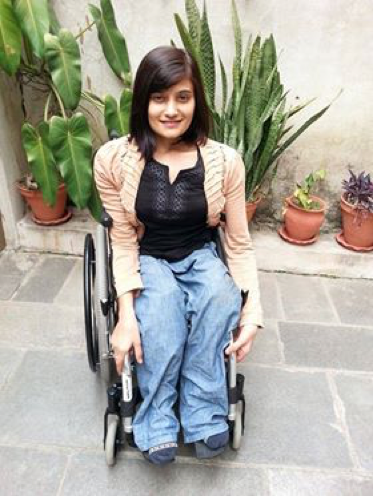 I shared that I wished to use a wheelchair that looked fashionable and suitable for my body. My brother in law Nozo said he would try to help me. After a few months, I got a message with different wheelchair pictures on Facebook from him and told me to choose the right size wheelchair for me. I was like “WOW! Really?. He mentioned that the wheelchairs are from Go!Fly Wheelchair NGO from Japan and wanted to help me. I still didn’t believe I would get such an amazing wheelchair. Finally, I got news that my wheelchair is arriving on 11th October (2015) with the help of Ms.Takahashi san. I was very excited and nervous at the same time because I was still skeptical if the wheelchair would fit for me. My all doubts went away once I started using my new wheelchair. My wish came true. It was fashionable and comfortable at the time. It actually changed my life. I was very confidant to go out and meet with my friends. I could easily go to the office. Everyone started complimenting about my wheelchair and me which built up my confidence. I went to India and Denmark with my Go!Fly! Wheelchair. I would like to express my gratitude to Go!Fly Wheelchair for providing such a comfortable wheelchair for me. I know I am not the first person Go!Fly! Wheelchair has helped. Thank you very much for helping thousands of people like me around the world.